Men pay a dime to dance with Barbara O’Neill (Barbara Stanwyck) and her fellow taxi dancers. She marries Eddie (Monroe Owsley) and quits dancing, but not before meeting Bradley Carlton (Ricardo Cortez), a handsome and very rich customer who takes a liking to her. Barbara eventually starts dancing again, since her marriage is plagued by financial tension, and Bradley begins visiting her again. Eddie becomes jealous, accusing his wife of infidelity. He sees that alleged infidelity as an excuse to steal money from Bradley. Will Eddie succeed in his criminal pursuit, or will he realize how irrational he’s being? And will Barbara stay with her angry husband, or leave him for her frequent dance partner? These questions are answered in Ten Cents a Dance, the final directorial effort of famed actor Lionel Barrymore. The film was inspired by the popular song of the same name, published in 1930. 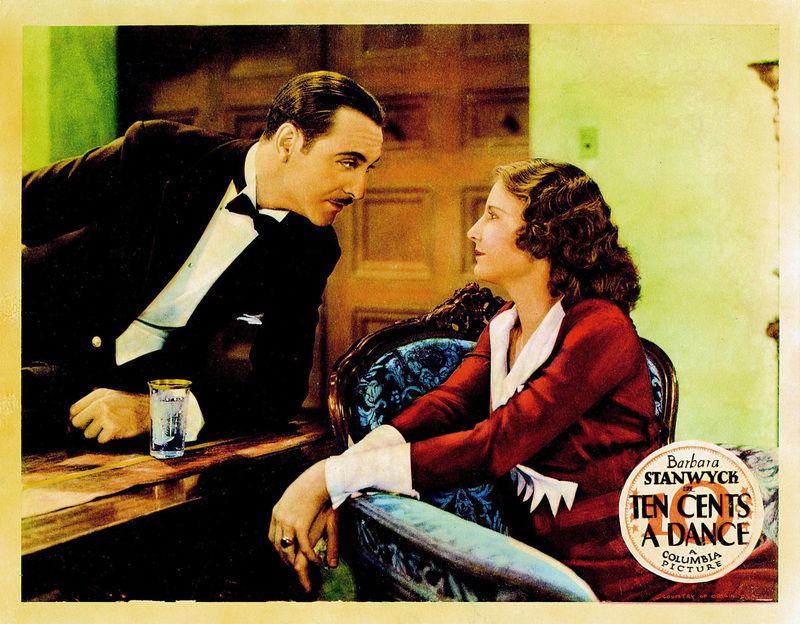 Ten Cents a Dance starts out a bit dull despite the perfect edge of bitterness that Stanwyck gives her character in the opening scenes, and the usual solid performance that she gives throughout the entire film. It does pick up eventually and has the appeal of typical, suggestive pre-code dialogue, which can sometimes be very witty. 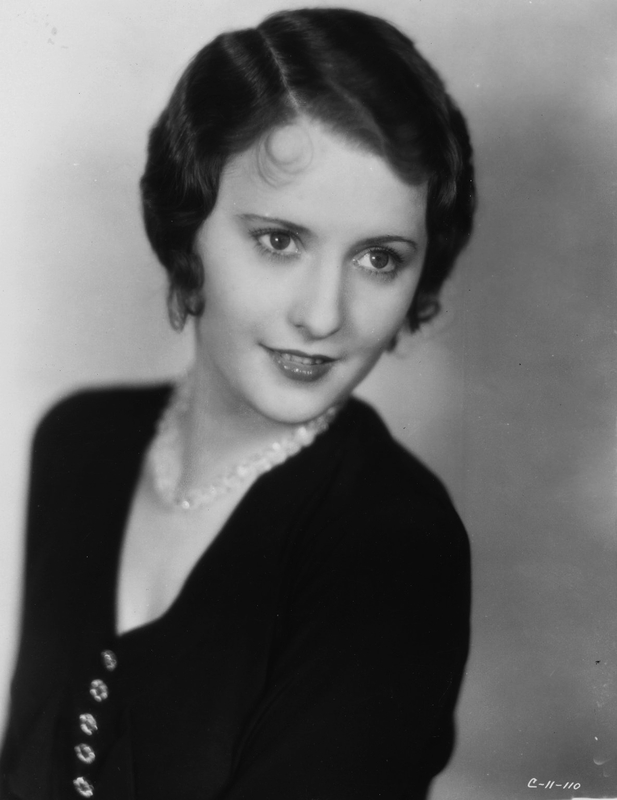 Stanwyck remains the best thing about the film and is the reason to watch it. Overall, the script and characters are quite ordinary. Nothing unique is on the plate here. The story is interesting in comparison with films released during the reign of the Code since it glorifies divorce, but audiences were no strangers to divorce films during the silent and pre-code eras. For avid viewers of films from those eras, this story won’t stand out a bit. Stanwyck’s leading men, Ricardo Cortez and Monroe Owsley, do give very good performances. Owsley is particularly good. His character is not likable it all. He’s ungrateful, pushy and hypocritical, treating his wife with very little respect. It’s completely obnoxious and frustrating that Barbara puts up with him and remains loyal to him for so long, but the audience’s hatred toward the character of Eddie is the signal of a highly effective performance. This can definitely make the film a bit tedious to watch, but Owsley’s talent in the role is commendable.